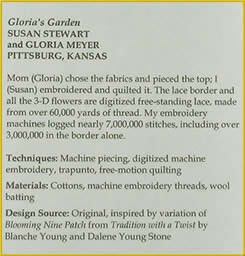 We congratulate Susan Stewart from Pittsburg, Kansas for winning the BlueRibbon in the Computer- Aided Machine Embroidery category. 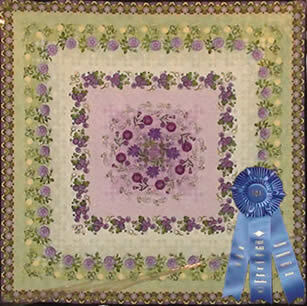 Susan used Zundt designs from the Adorations 3 collection and Lace 13 Set to make this beautiful prize winning quilt. 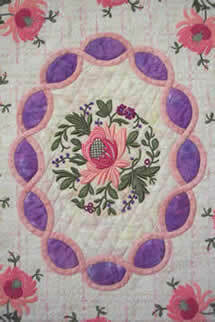 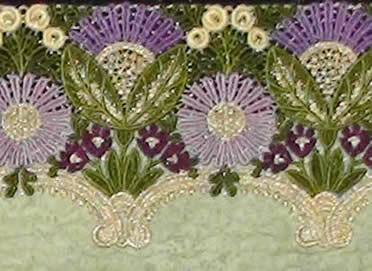 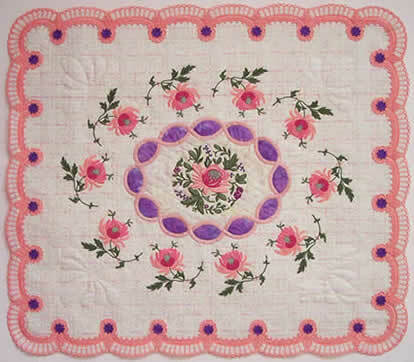 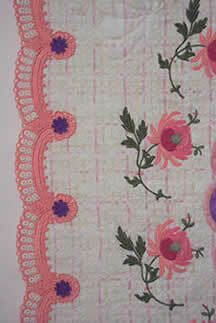 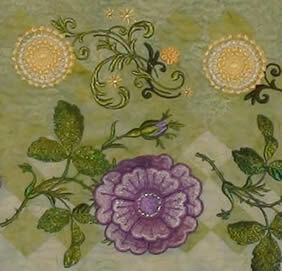 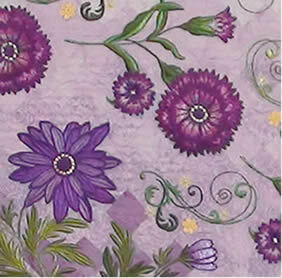 quilted wall hanging featuring your designs (202136-1, 202256, 204019, and Lace10_Set).